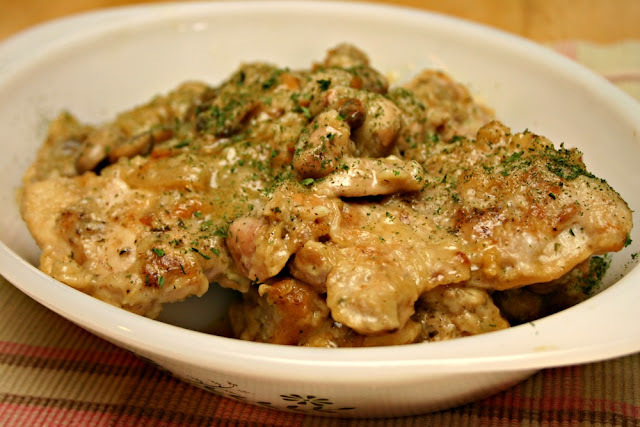 While the original recipe calls for chicken thighs, I'm sure it would work out well for chicken breasts too and I'm thinking it would probably work for pork chops as well. I'm tempted to try it with pork next time so I'll report back on the results when I do. Also, they served up green beans as an accompaniment but I went with some oven roasted broccoli and it was fantastic just the same. 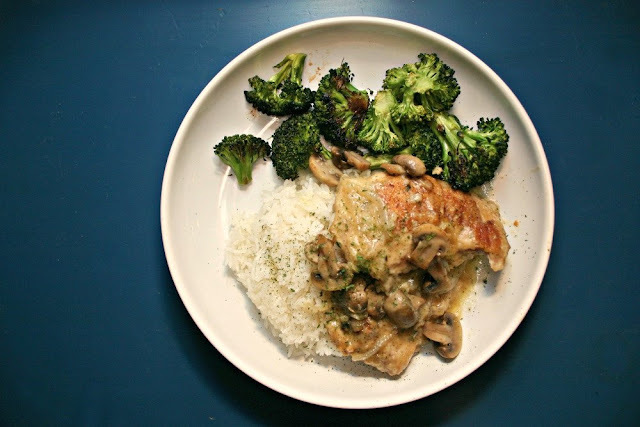 I love that this dish uses white wine, which gives it such a gourmet flair, especially for a quick, no-fuss weeknight meal. Highly recommended and family approved! 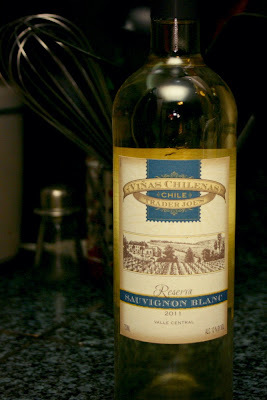 I used a Chilean Sauvignon Blanc from Trader Joe's. Serves 4. Adapted from Real Simple magazine. 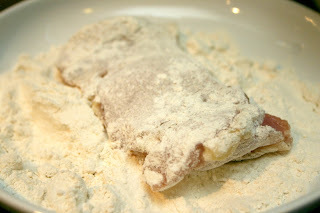 Place the flour in a shallow bowl. 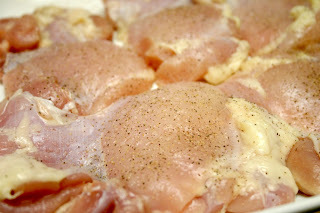 Season the chicken with ½ teaspoon salt and ¼ teaspoon pepper and coat with the flour (tapping off any excess). Heat the oil in a large skillet over medium-high heat. 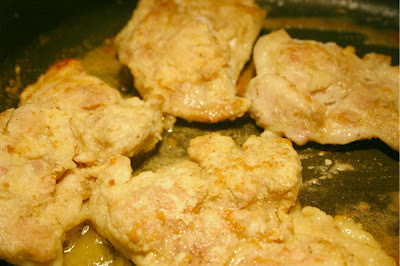 In batches, cook the chicken until browned, 4 to 5 minutes per side; transfer to a plate. 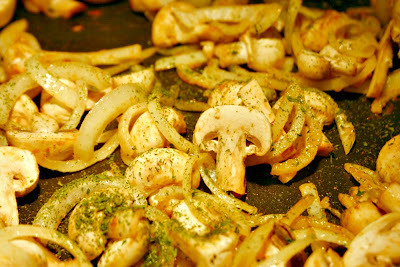 Add the mushrooms, onions and 1/2 of the chopped parsley to the skillet and cook, tossing, until browned, 4 to 6 minutes. 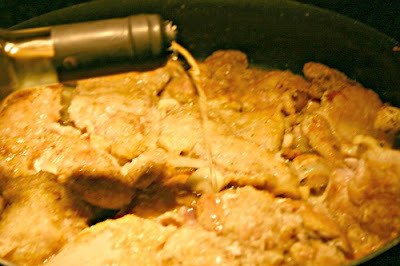 Return the chicken to the skillet, add the wine and chicken broth, and simmer until cooked through, about 8 to 10 minutes.